These MX1267 crossfit trainers are awesome for your demanding workouts! These light and sleek training shoes are comfortable and suitable for cross-fit and other intensive exercising. They have an 8mm heel-to-toe drop, excellent cushioning and a stabilizing external heel counter for added support. The toe box is wide enough for comfortable spreading of the toes during weight lifting and training, which definitely helps the overall performance and improves the balance during the cross-fit training sessions. Still, some of the previous models from New Balance have wider toe boxes, so some people may find that the MX1267 is not wide enough, especially people with wider feet. The midsole is made of REVlite, which is brand new foam compound which is 30% lighter than the traditional NB foams, and yet provides the same durability and responsiveness. The ProBank technology is a light stability feature which will guide the position of the foot, and the N2 low-to-the-ground cushioning feature adds to the comfortable fit, the improved responsiveness and durability. The rubber outsoles provide better traction and perfect grip which will keep you safe from slipping while exercising. It has to be noted that this trainer provides perfect support, especially nice for people with high arches. Even though the toe box of these New Balance crossfit trainers is quite wide, the entire upper is tight-fitting and offers a snug and comfortable fit, plus provides extra support to the feet and ankles during training. The upper is made of synthetic breathable mesh which will help keep your feet dry and nice at all times. 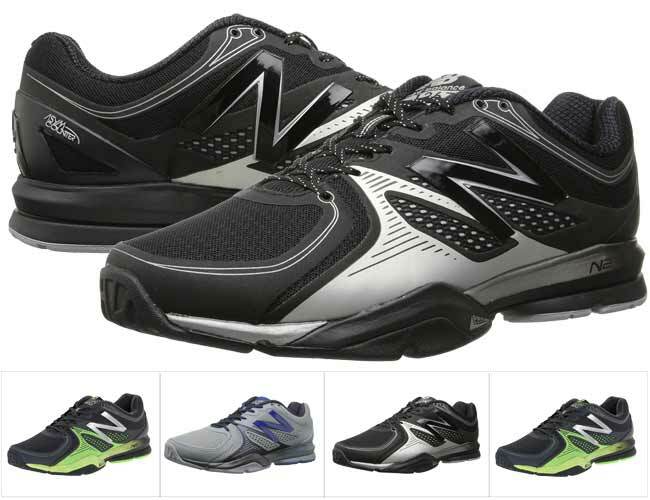 These training shoes provide ultimate comfort and stability for the gym and for outdoors. They are well-ventilated, provide a nice snug fit for added stability and foot guiding. The cushioning is low-to-the ground yet provides great comfort and has amazing responsiveness during exercising and walking. Also, these shoes have a wide toe box for added balance and stability and they are very lightweight so they are perfect for cross-fit, intensive interval training and other exercises. Want to see what else we’ve picked? Check these NANOS by Reebok.